It’s been such a long time, slightly more than a year since we shared our garden beauties. Sorry about that as yours truly wasn’t in the best of health. 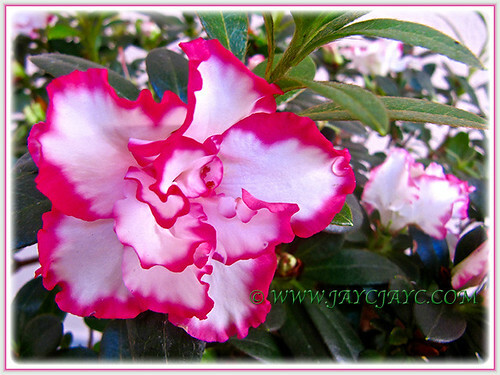 Nevertheless, with regained strength since early this year, my darling John and I were able to tend to our small garden paradise and got to marvel at the fabulous outcome. We praise and thank The Almighty for His wondrous creation and such abundant blessings that keep us awed, joyful and grateful everyday! 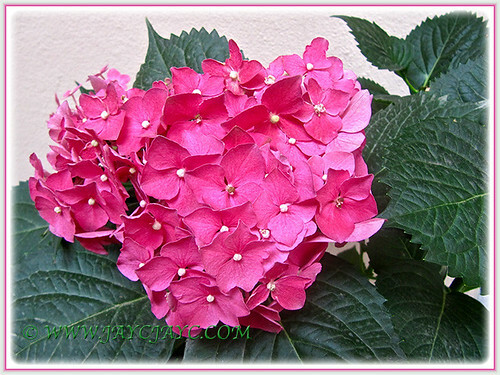 Two cheerleaders that really stood out among the rest were the Pink Hydrangea and the frilly bicoloured Azalea in pink and white. We had desired them for many years but the price were off our budget. 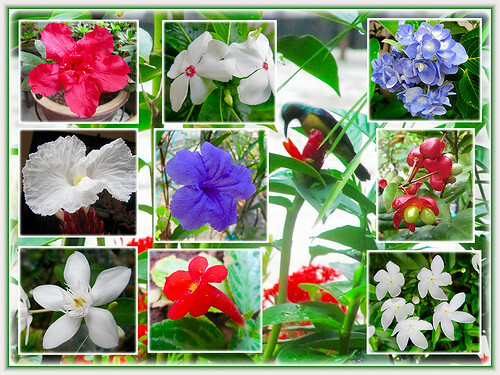 An opportune occasion came about during the 2015 Chinese Lunar Year where these plants were sold expensively at RM68 and RM50 respectively. With anticipation, we waited patiently until the tail end of the festive season and happily bought them for a steal, less than half the price! 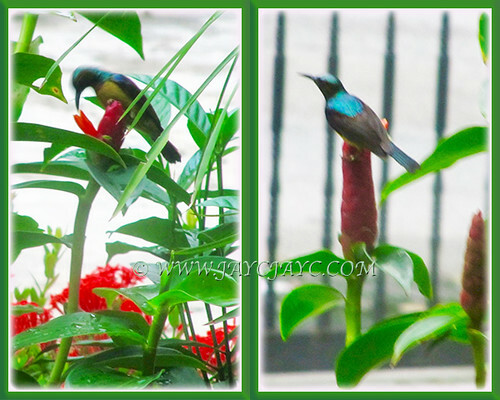 It’s really exciting to see these sunbirds that just love feasting on the nectar of our Red Button Ginger daily. Very difficult to capture shots of them though. 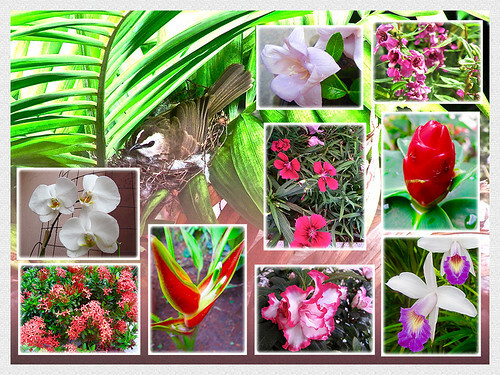 The collage of them below is somewhat blurry as they were shot from inside, via the sliding glass door and iron grill. 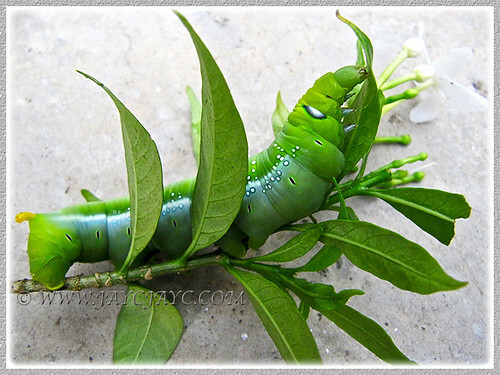 On the other hand, this caterpillar is an unwelcome visitor. Eeek… we caught almost 30 of them, of varying sizes, happily gorging themselves on the young shoots of our Pinwheel Plant. 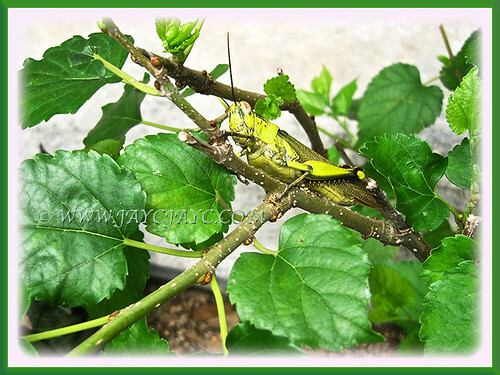 Another unwelcome visitor is the grasshopper, bringing his whole clan to feast on the leaves of our Mulberry bush. And, mind you the foliage of the whole bush can disappear in no time! !